The park is surrounding the Former Japanese Navy Underground Headquarters, and is called Kaigungou Koen. This is the ultimate playground in my mind. 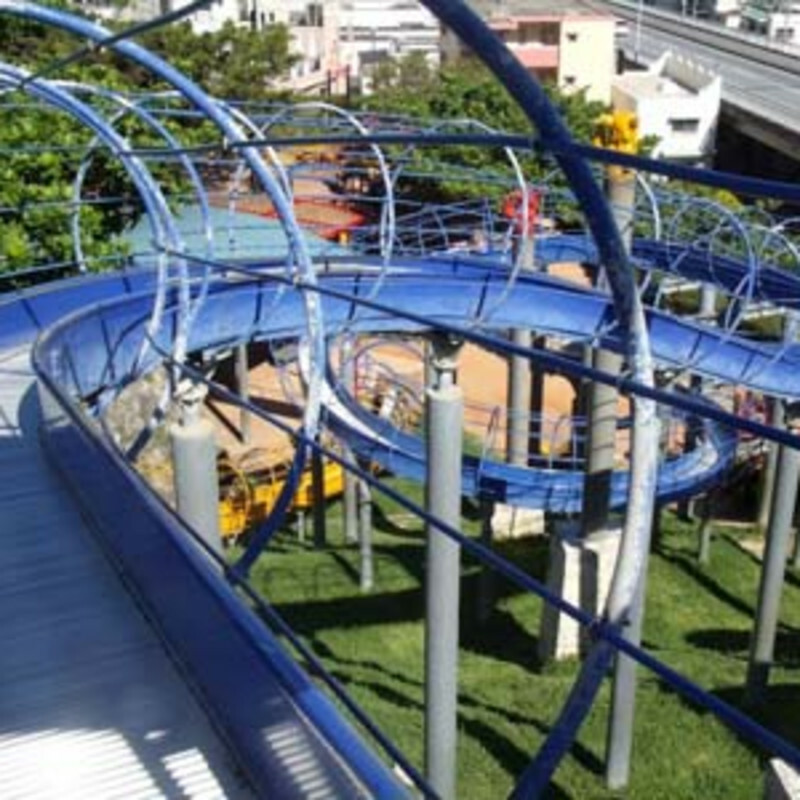 It has two huge rollercoaster slides that twist and wind down the side of the hill, and when you want to go back up you can either take the stairs or climb your way up using nets, ropes and ladders.